Ticket sales for this event have closed. Tickets can be purchsed for $10 at the door. 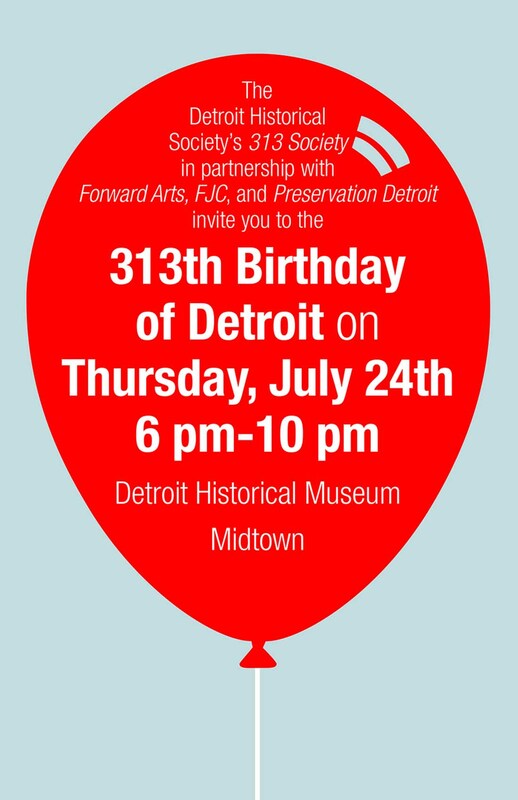 Come celebrate 313 years in the 313! Join us for food and fun out on Legends Plaza with some of Detroit’s best food trucks: The Mean Weenie, Detroit BBQ, and Treat Dreams! Free Birthday Treats for Society Members! Cash bar, featuring $2 Atwater Brewery beers from 6 - 8 p.m.
Entertainment by Motor City Soul Club. Please note that Kirby Street and the museum parking lot will be closed for this event. Please feel free to park across the street at the Park Shelton for $5 or at the Wayne State University Parking Structure #1 or #6 which accept cash or credit. For more Wayne State Parking information and pricing please click here: http://parking.wayne.edu/visitorguest.php.